Today some amazing progress was made for securing your Nano(currency) on your Nano S (Ledger's hardware wallet). It really is some sort of inception where you can send nano from your Nano 🃡 while holding nano on your Nano. I've used the online wallet service https://nanovault.io/configure-wallet to make a new wallet which is secured by confirmations and a signature on the Ledger Nano S hardware wallet. This is the preferred way to store your cryptographic keys that allow access to your savings or cryptoassets. 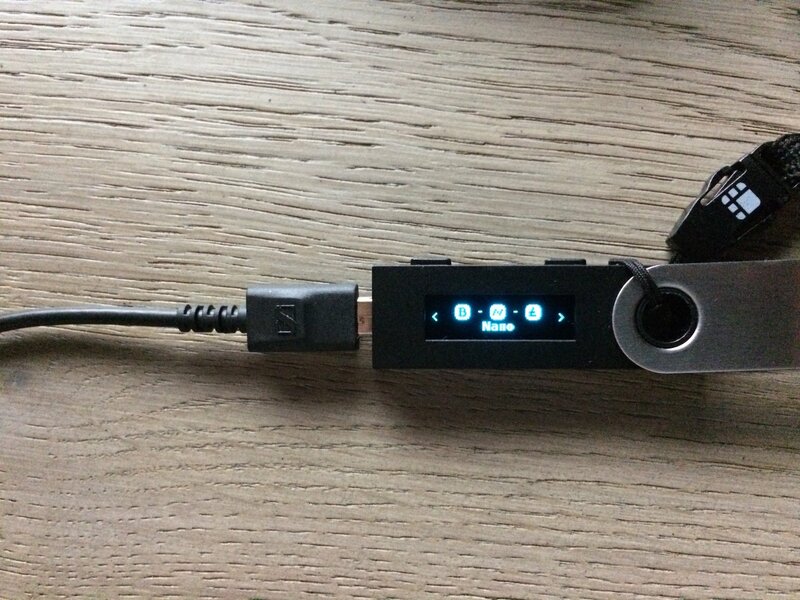 I've tested the service by sending a few Nano's back and forth from my own nano-node/wallet and it worked flawlessly. What I liked about the nanovault service is that I could add my own nano-node address as trusted representative, which is always online and will validate transactions quickly.